Should I Get a Hoverboard with Bluetooth for my Kid? Hoverboards are a popular toy amongst children and a fun way to maneuver around. There are a variety of hoverboards on the market, and it can be hard to know which hoverboard to get. This decision becomes even harder when considering that with advancements in technology, there is now the option to have a hoverboard with a Bluetooth speaker built into the actual board. Here, at My Self Transport, we have all the information you need when looking for any type of hoverboard. With our reviews and buyer’s guides, you’ll be able to find the perfect fit hoverboard for you and your child. In this guide, we’ll give some advice on what to look for when purchasing a Hoverboard with Bluetooth. Are Hoverboards Little Kid Friendly? How Smooth Does It Ride? 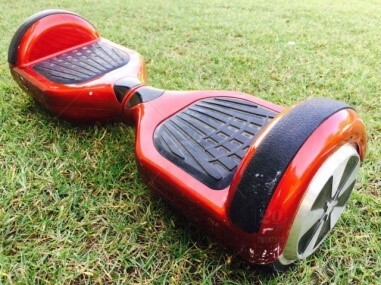 Hoverboards with a Bluetooth speaker built into the actual board take fun to a whole new level. This fun feature allows your child to listen to music while riding, and many Bluetooth hoverboards have great quality sound, comparable almost to that of professional speakers. A good brand that offers the Bluetooth feature is TOMOLOO. This brand is known for manufacturing well-made self-balancing hoverboards and scooters. The TOMOLOO Hoverboard with Bluetooth Speaker and LED Light is an exceptional product with many convenient features. The Bluetooth the speaker can be controlled by downloading an app onto your tablet or smartphone. It’s very important to find out if the hoverboard is certified for quality and safety. If the board isn’t certified, it’s best to look into a manufacturer that makes better quality hoverboards. This ensures the safety of your child, which is of utmost importance. One of the safest options is the TOMOLOO because the brand uses fire-retardant materials and offers many extra features that allow for the board not to overheat, overcharge, or short circuit. If the child is very young, finding a board with a handle may be important. You can also look for something that has a low maximum speed, maybe five mph. Hoverboards with bigger tires are also easier for little ones to ride. Look for a product that has a short charging, something in the range of two hours or less, but that also is capable of a long running time. Also, look for a battery that comes with some type of protection feature, as this will add to the battery’s longevity. Although the Bluetooth capability makes for a fun and cool ride, it’s not all there is to the hoverboard experience. For your kid to have fun—and stay safe—you should look for something that can control speeds. Again, the TOMOLOO is great in this regard because it has three different modes that allow for speed control, all adaptable to your child’s skill level. From the downloaded app you can set the speed, driving force and sensitivity of steering. This model also allows for a stable and smooth ride because of its mainboard program. Cost is an important factor when buying a hoverboard. Usually, boards that cost under 170 pounds may lack quality and safety standards. There isn’t a standard price as of yet for hoverboards, but a budget anywhere from $200-$500 is the going rate for a good quality board. Are Hoverboards for Children a Toy or Mode of Transportation?